"Child abuse is any sexual, physical or emotional harm, or the neglect of a child. 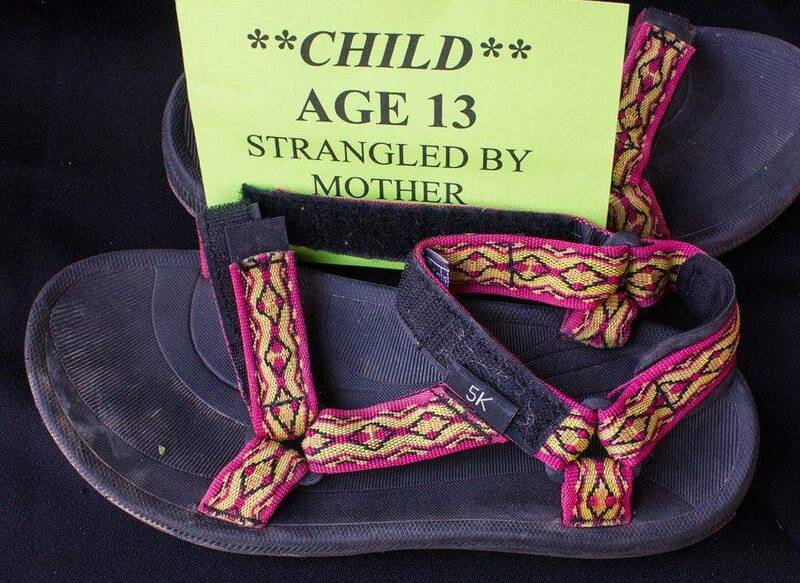 Children who witness violence in their home are also victims of abuse." 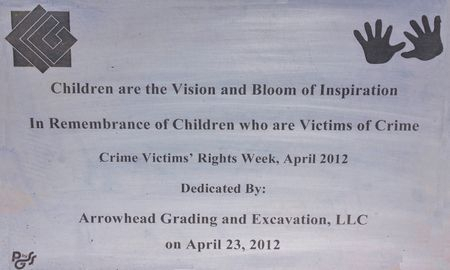 The flower garden in front of City Hall is planted every year to remember children who have been victims of abuse. 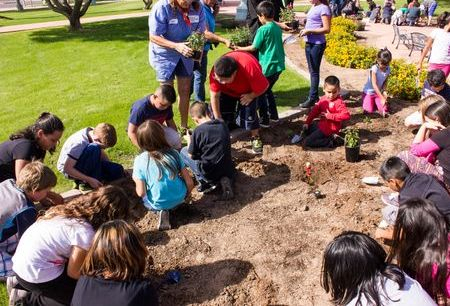 The annual Children's Flower Garden honoring young victims of abuse was planted in front of City Hall on Friday morning, Oct. 31, 2014, by students from Cottonwood, Evergreen, Desert Willow and Mesquite elementary schools and Villago Middle School. 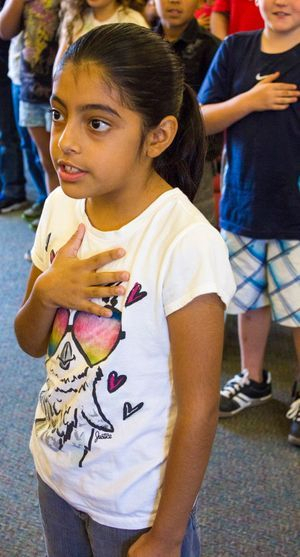 The Pledge of Allegiance was led by Evely Navarro, a third grader from Evergreen Elementary School. 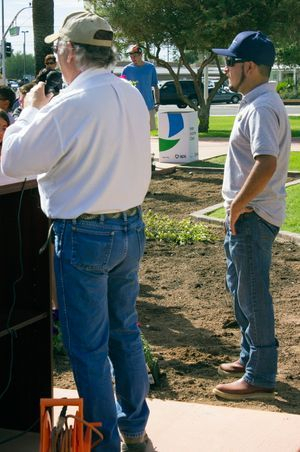 Jose Guerrero, right, who sponsored the event and provided the flowers and tools, watches as Parks Superintendent Rod Woods gives the students some pointers on planting flowers. 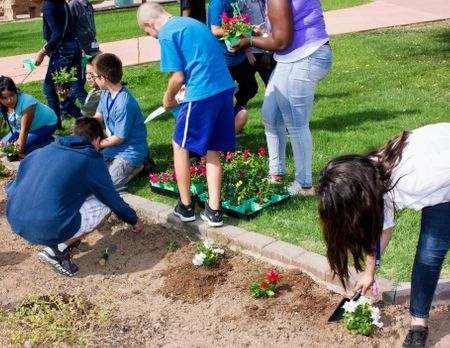 The Casa Grande City Attorney’s Office Victim Assistance Program, in partnership with the Casa Grande Elementary School District, will host the annual Children’s Flower Garden planting event beginning at 10 a.m. on Friday, Oct. 31, at the flower garden located in front of the City Hall Plaza, 510 E. Florence Blvd. 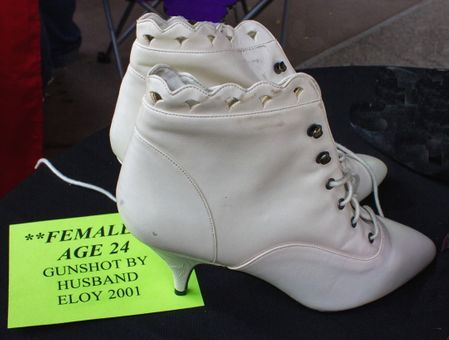 The event is being held as part of National Domestic Violence Awareness Month. Former Major League Baseball player Ken Phelps will attend the event this year to share his experience about overcoming obstacles and following your dreams. The flower garden in front of City Hall is planted every year to remember children who have been victims of abuse. According to the U.S. Department of Health and Human Services Children’s Bureau, 681,000 children are abused each year and four children die every day as a result of child abuse. 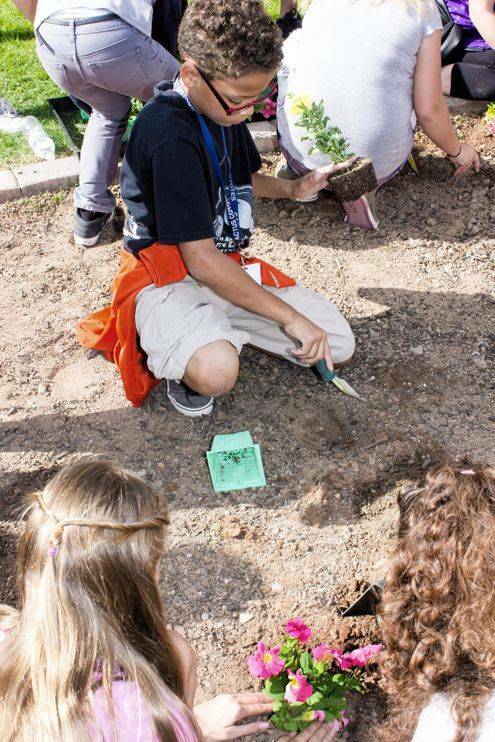 The schools participating this year are Cottonwood Elementary School, Evergreen Elementary School, Desert Willow Elementary School, Mesquite Elementary School and Villago Middle School. Against Abuse, Inc. will join in the event this year by planting pinwheels to promote awareness of child abuse prevention. This year’s special event is sponsored by Guerrero Landscaping & Maintenance, LLC. 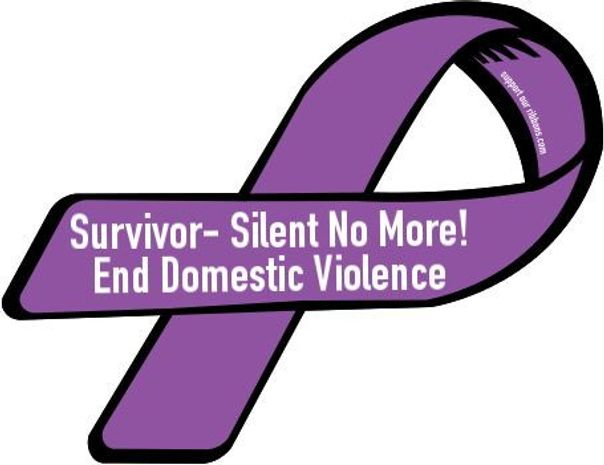 The Casa Grande Victim Assistance Program provides assistance, support, and protection to victims and their families and educates them about domestic violence and the criminal justice process. 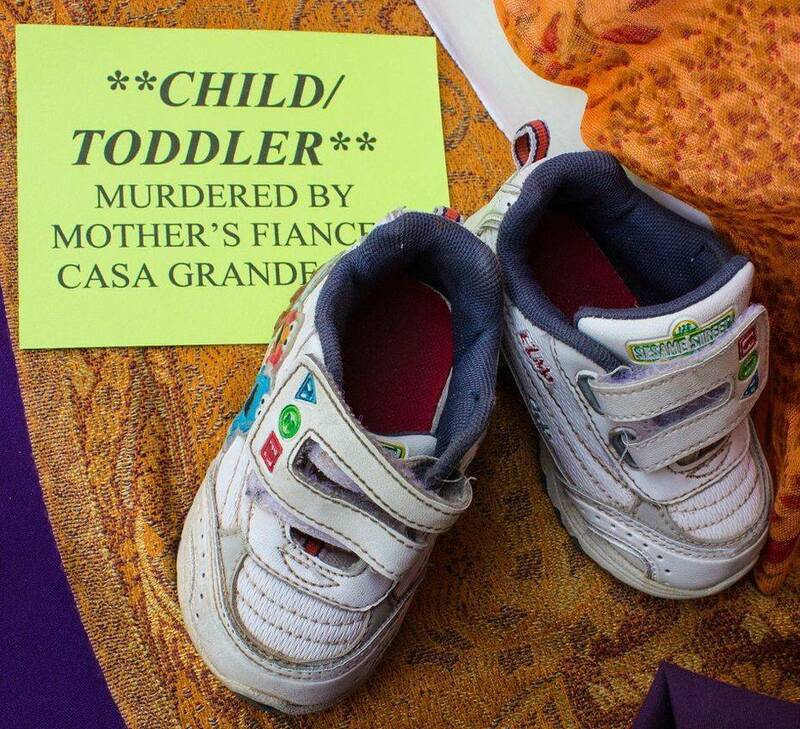 To learn more, visit www.casagrandeaz.gov/dept/cityattorney/victims. The month of October recognizes Domestic Violence Awareness and in an effort to bring attention to the issue the Casa Grande Police Department successfully completed a warrant roundup which ended this past weekend. Since January of 2014, our Police Department has responded to over 1,200 calls for service involving the report of domestic violence. As a result, over 456 of those calls required a report to be taken for a crime. Last Thursday, Police Chief Johnny Cervantes invited members of local organizations involved in raising awareness and combating Domestic Violence to a morning kick off for the operation. 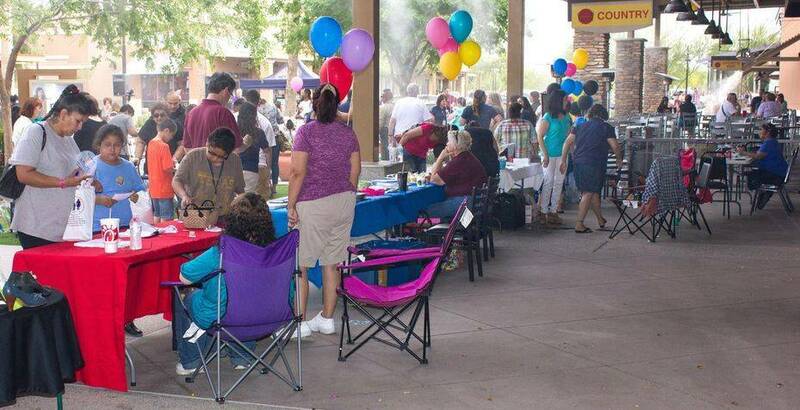 These organizations included Against Abuse, Pinal Hispanic Council, Cenpatico, Casa Grande Alliance and the Zonta Club. A representative from each organization spoke, marking a unanimous show of support for the operation. CGPD identified at least 70 individuals in our community that had outstanding warrants stemming from a domestic violence report. Teams of officers and detectives spent two days locating as many of these individuals as possible, arresting them and bringing them before a judge to resolve their warrants. Over 30 arrests were made, marking this operation a success and the beginning of an annual attempt to help bring awareness to domestic violence. The Casa Grande Police Department will continue to seek those with outstanding warrants in our community and bring them to justice. It is our goal to continue to nurture the relationships we have with local community organizations in an effort to decrease domestic violence and increase the awareness of this serious crime. Police Chief Johnny Cervantes, left, checks his notes while reciting statistics about domestic violence in Casa Grande. Teams of Casa Grande police officers are fanning out across the community over the next couple of days, tracking down and arresting people of have outstanding warrants for domestic violence. The effort was announced Thursday morning during a short event at the Police Department headquarters. Attending were members of the department and representatives from Against Abuse, Pinal Hispanic Council, Casa Grande Alliance and Zonta. "It's national Domestic Violence Awareness Month and so what an appropriate time to take some proactive measures to address this issue," Chief Johnny Cervantes said before beginning his comments about an issue "that's tearing our community apart." Cervantes said he gained firsthand experience with domestic violence while a young police officer in Miami, Ariz.
"One day I was at the department and this young kid came running in very upset and saying that he needed help because his mom was being abused by his father. As I'm driving up to the residence, the mother was running down the hill and I just saw the fear in her eyes. And when I got out of my car and talked to her, she was like Johnny, please help me! And I could just see that she was very, very fearful. The husband came walking down shortly after and just said, arrest me. So that's what I did, because I knew something was going on. "It really had an impact on my career as a young officer because you get to see that fear and the impact it has on our victims, especially people that you know." 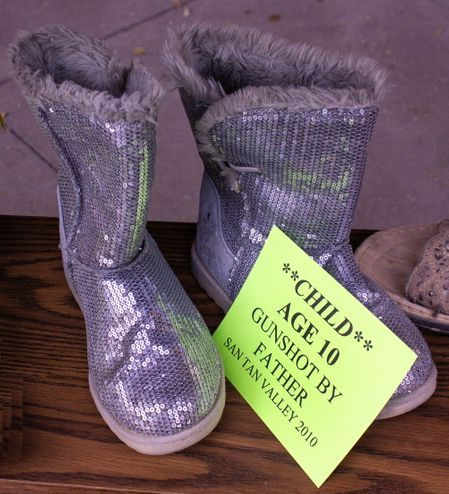 There are issues in Casa Grande, also, the chief said, referring to two major ones since he became chief in early 2013, triggering an awareness program. "I know that there's people here (in the audience) that were a part of our effort to raise that awareness at our Cherish Our Children event," Cervantes continued. "That was a first step in our efforts and this is a continuation of those efforts. "Today, we are going to do our first ever domestic violence roundup. And what that means is we're going after the offenders that have committed domestic violence related offenses and have warrants. We've identified 70 individuals that have warrants in our community as offenders. "Our goal is simply to send them a message that, no, you need to go to court and be accountable for your crimes and how you've impacted your family." But it goes beyond that, Cervantes said. "It's not just about the offender that we're talking about here," he continued. "It's about the victim and we want to send a message to them, as well, that we're here for you and that you're not alone. "We are partnering with our partners to provide (an information) pamphlet to our victims as we go and arrest these individuals and let them know that you don't have to go through this alone, that's there's people out here that care and that want to help you and we're here to do just that. We're going to leave information there at their residence if they have any questions or need for assistance." 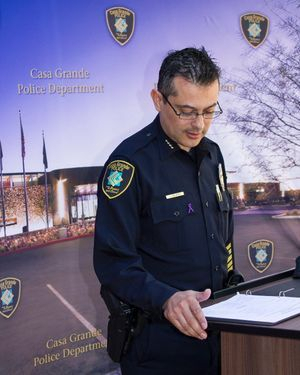 Cervantes listed domestic violence statistics in Casa Grande since the beginning of this year. "We've had 1,176 calls for service that are domestic violence related," he said. "Now, that doesn't mean that these resulted in an arrest or an actual case, it just means that somebody felt that they needed help at that moment in time, some sort of intervention. And obviously we're the first ones that are available for people to call. "We actually had 456 reports year to date. That means it rose to the level of a crime that we actually had to take a criminal report on these incidents. "I'm not going to break them down. It's just enough to say that we do have a problem and we do have to continue to do more about that. I'm hoping this will be a continued effort to do just that." "This is really a very exciting event that's happening today," Griffen, the organization's executive director, said. "Just knowing that the Police Department is paying attention and is going to follow up on some of the things that we see on a daily basis really makes me feel really good. "It was mentioned that there are about 70 people that you're going to be knocking on their door in the next few days. "To me, I think anything that's a beginning and a first step is the way that you have to do it. We really feel that working together makes us all stronger. 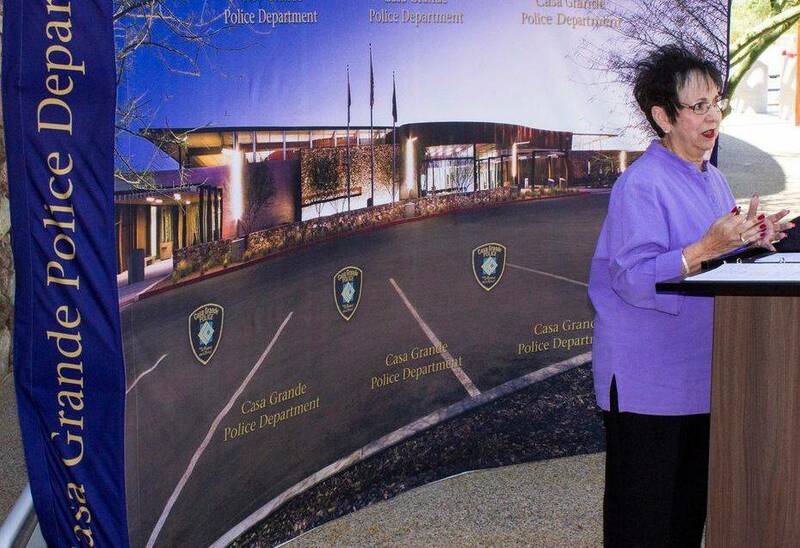 "Your Police Department here in Casa Grande is really part of the fabric of the work that we do. And all law enforcement has to be involved, or when the women and the children come to our shelter there's no after for them if they don't think that there is something going to happen to the perpetrator." Griffen listed Against Abuse statistics for 2013, covering the shelter and people counseled. "We had -- and this is a staggering statistic for me -- 20,497 bed nights in our domestic violence shelter last year, in 2013," she said. "That is a lot of bodies staying in the shelter, trying to be protected. And what you all are doing is helping us along that way in terms of that protection. "That represents over 500 woman for those 20,000 nights, so I think that's pretty staggering. That's a lot for us. "We also saw over 300 women in what we call our out-patient services, and those are women that come in for services that don't want to go into shelter, they don't feel they need shelter but they want help and education in terms of how they might survive the situation. I think that is a lot, too. 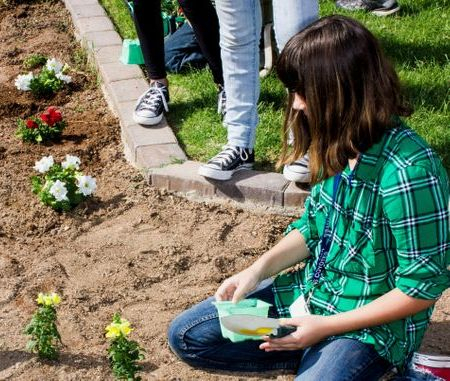 "We also did over 7,000 hours of domestic violence education throughout Pinal County, talking to groups like Zonta and sororities and Kiwanis and Rotary and education groups in the schools and the PTA, etcetera, etcetera." "Don't back down," she said. "Abusers are very manipulative and very cunning and they'll say, oh, it's not me, it was somebody else, etc. I just hope that you really go out there and do what you said you're going to do and bring in some of them so that we can go to court and find some justice in this. Thank you for what you're doing." 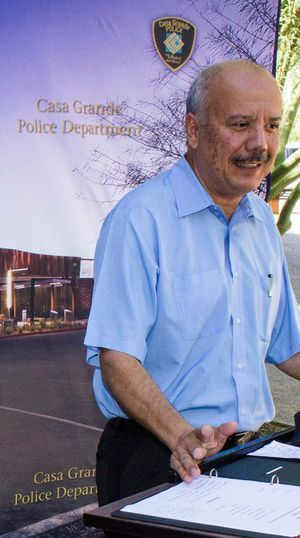 "As chief executive office of Pinal Hispanic Council I'm really proud to be here, as well as a City Council member for Casa Grande," Varela said. "I think everything we've always seen about domestic violence with law enforcement is I believe it's one of the hardest cases to respond to because you've got two individuals who are in conflict and Police Department gets there and a lot of the times those two individuals then turn on law enforcement. I realize what a difficult task that all of you have. 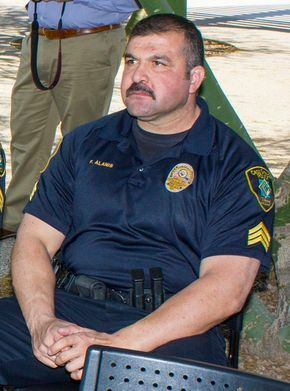 "I've talked to the chief previously about how part of your work is kind of like part of our work. 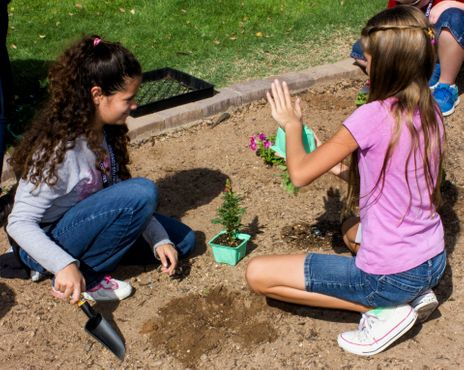 Part of it is social work in nature, because of some of the things that you do to connect individuals with services at the time that it is occurring. 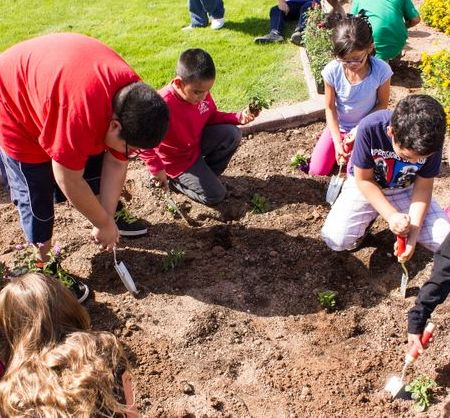 "But I think this is a real great opportunity, because it puts the Casa Grande Police Department, social services, other stakeholders, the community and survivors together to really respond to something in a united way." Pinal Hispanic Council also deals with both sides of the issue, Varela said. "When a lot of the survivors come in, there's a sense of not having empowerment, there's a sense of having to make real difficult decisions about where to stay, what resources are needed, emergency assistance," he said. "And we also see the other side of it when we have the perpetrator referred to the courts that come to receive 27 weeks of group intervention that they must complete to be able to make sure that they go through the court process and are successful." 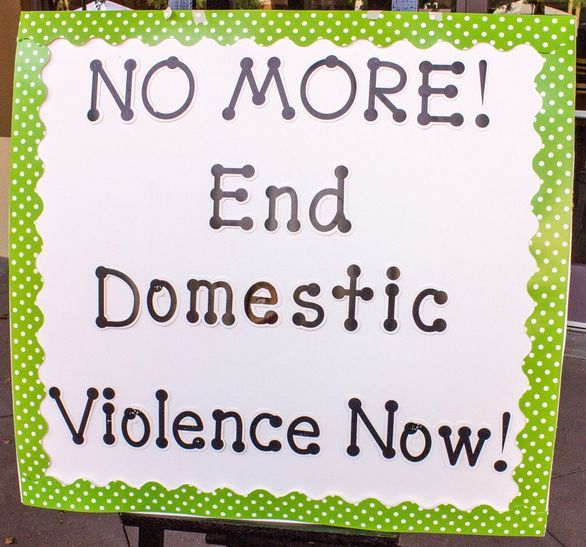 Domestic violence cuts across all spectrums of the community, Varela said, "the economic, the social services, law enforcement, all of the major institutions are really impacted by domestic violence. "And I think this kind of a partnership really speaks about the real goal, and that is to have a community that's responsive, first of all, but is also compassionate to survivors to insure that everything that is done for survivors is done with all the resources available." Schaider, the executive director, said the alliance is a 56-member coalition dedicated to reducing substance abuse and violence in the community. "The correlation between domestic violence and substance abuse is absolutely undeniable," she said. "When someone abuses alcohol and other drugs, they enter an altered state of consciousness and in that altered state they have poor decision making skills, they have reduced inhibitions and as any police officer that works a Sunday night know, after the family's been together all weekend and there's been drugs and alcohol involved you're very likely to enter a domestic violence situation." 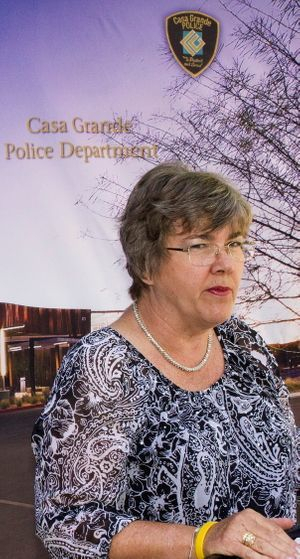 An example of substance abuse leading to violence, Schaider said, was when she worked as a counselor at the Pinal County Jail. "I remember walking past the isolation cell one day and this gentleman called out to me and he said, ma'am, could you help me? And I said, sure, let me see if I can help you. "And he said, could you tell me why I'm covered with blood? I have cuts on my head, but I don't know that that's what the blood is. "And I said, well, over the weekend you got intoxicated on drugs and you got in a fight with the police officers and it took five of them to take you down, so I'm sure you've got some bumps on the head from that little tussle. "But it's not your blood on your shirt, it's your mother's. In a drug-induced state you went to your mother's home and beat her to death with a baseball bat." Schaider said she later talked with people who knew the person and "he was a wonderful and gentle man -- when he was sober. "It's not an unfamiliar story," she said, "so we know that if we can reduce substance abuse, we can reduce violence. Schaider she could also probably be known as a violence survivor. "I remember at the age of 17 coming home, from a date, no doubt, and finding my mother, who was recently divorced, in her bedroom, intoxicated, her clothes were torn and her face was bruised. I asked her what happened and she said her boyfriend had beat her up. "So I called police and I said I need your help, my mother's boyfriend has beaten her up. And the officer on the other end of the line said, honey, if your mom wants to let her boyfriend beat her up, there's nothing I can do about it. "Thank God it's not like that any more. "Because I know that tonight if a 17-year-old girl calls Casa Grande Police Department someone is going to help her, someone's going to keep her from getting hurt and someone's going to help mom from being hurt and someone's going to help that man change in some way. Whether he needs treatment or incarceration, it's going to be different. 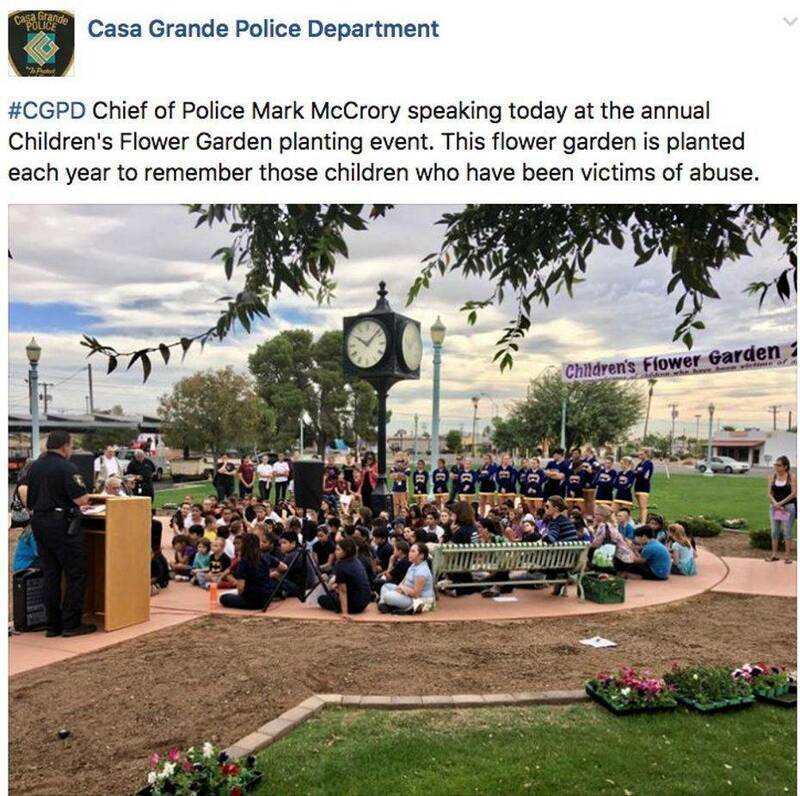 "And I'm thankful for the partners in the community and the Casa Grande Police Department for saving children and women and men from the horrible fate that is domestic violence." Cervantes said Sgt. Frank Alanis, pictured at right, will head the sweeps to arrest those with domestic violence warrants. "He's done a really good job organizing this event," he chief continued. "And we're going to have several teams that are going to go out for the next two days and bring these individuals to justice. So I want to thank you, Sgt. Alanis, for coming out and doing these things. "I do want to compliment one of our partners that isn't here today, the Pinal County Attorney's Office. They're taking a very strong stance, much like we are, against domestic violence and they've increased the training aspect of the violence, especially to law enforcement. "There was training that had to do with the choking aspect and how to identify the strangulation and establishing protocols on how to investigate that. A lot of time we were missing that, we weren't trained what to look for, because there's very subtle things that happen when you're strangled. Our officers are now trained in being able to identify those things." "I just want the victims to know that we will be here and we're not going away and we are going to send a message that this is not acceptable." 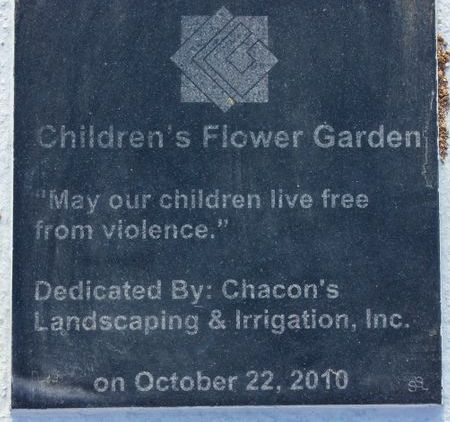 The flower garden is planted every year to remember children who have been victims of abuse. According to the U.S. Department of Health and Human Services Children’s Bureau, 681,000 children are abused each year and four children die every day as a result of child abuse. 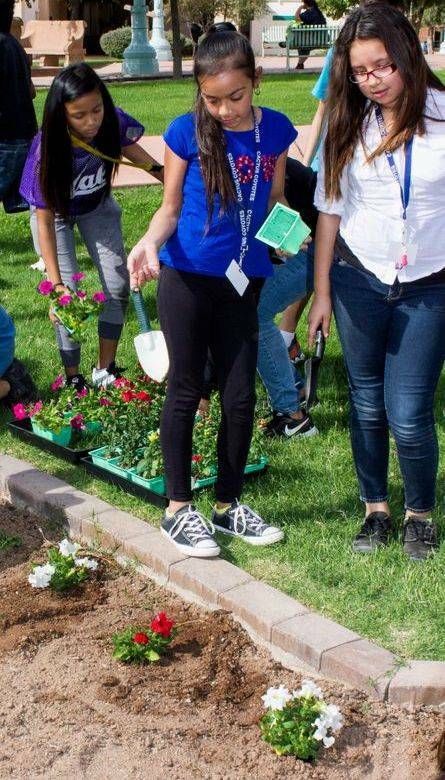 The schools participating are Cottonwood, Desert Willow, Evergreen and Mesquite elementary schools and Villago Middle School. Against Abuse, Inc. will join in the event this year by planting pinwheels to promote awareness of child abuse prevention. 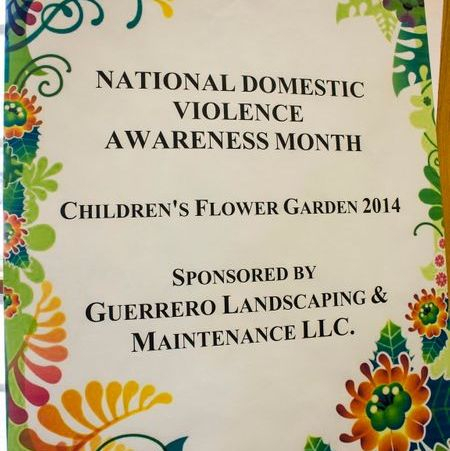 This year’s special event is sponsored by Guerrero Landscaping & Maintenance, LLC. That's why hundreds turned out Friday afternoon and evening (April 11) to show support for those who have endured it -- and for those who didn't. 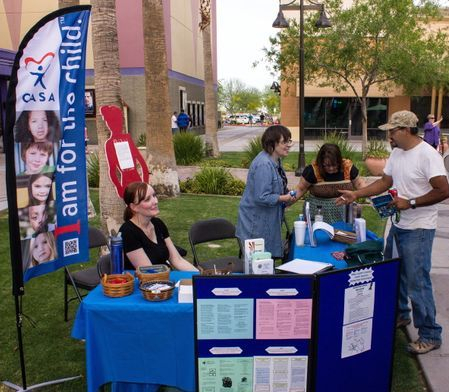 It was part of National Crime Victims' Rights Week 2014, held at The Promenade. 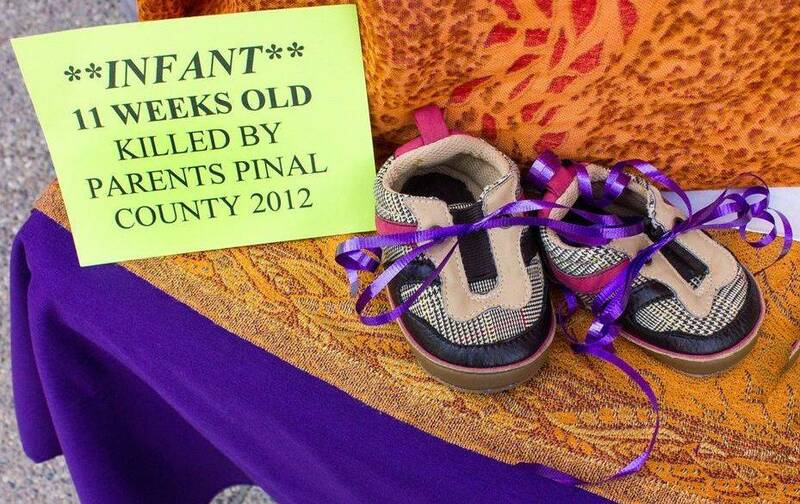 Empty shoes as symbolic reminders of victims were part of a display by Zonta Club of Casa Grande Valley. 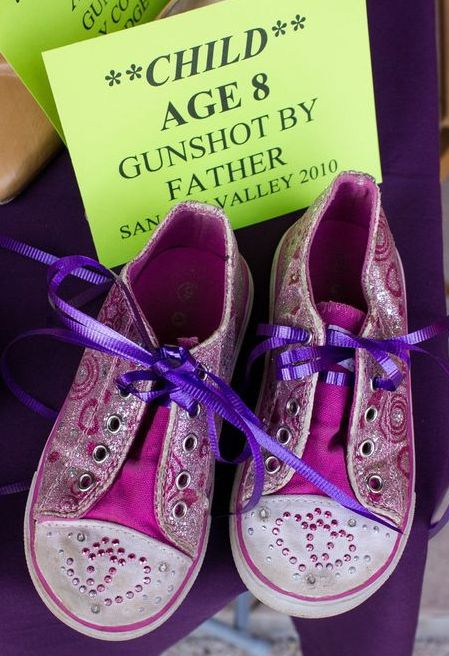 The shoes were provided by Against Abuse.